The Hefer Soccer Complex and adjacent Plex facility offers Two full-size outdoor soccer fields with grandstands adjacent to a 45,000 sq. ft. indoor multi-sport facility with seating for 500. The Plex is designed to provide an outstanding recreational experience for people of all ages and skill levels. The staff consists of knowledgeable professionals who are committed to offering a clean, safe and organized facility that allows players and fans to get the most out of their sporting experience. 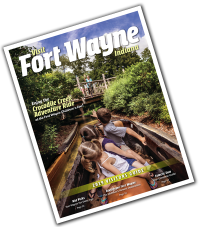 We support the Fort Wayne surrounding communities and look forward to adding additional programs to meet everyone’s needs.